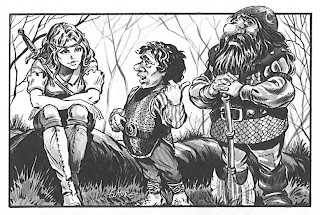 I've always liked this picture by Larry Elmore. I love that it not only shows you what dwarves, halflings and elves are like all in one go, but it shows you a glimpse at the emotional dynamic in their little adventuring party. 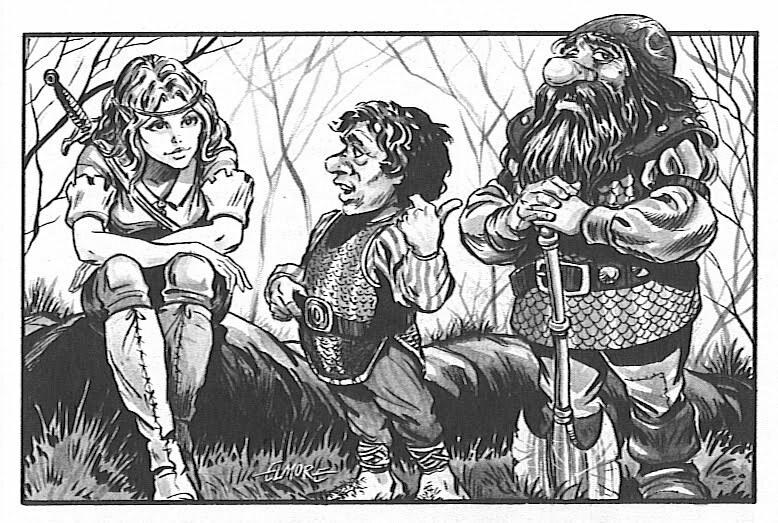 I always imagine the halfling pointing out that the dwarf has a crush on the elf. The dwarf denies it while blushing, and the elf is amused if somewhat flabbergasted. But that might just be me.